Growing a single marijuana plant at home has many advantages, and not only for beginner growers. 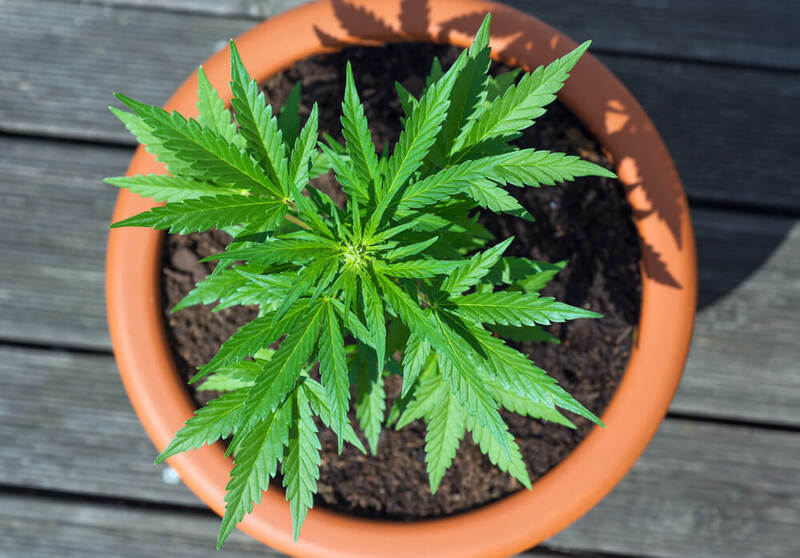 Granted, the simplicity of caring for just one plant is really helpful for rookies, but that’s not all there’s to it. First of all, finding and setting up a grow space becomes much easier. Literally anywhere could be a good spot, provided you follow some rules. Also, the fewer the plants, the better the care they receive. But perhaps the biggest advantage of growing just a single marijuana plant is the reduced costs: Growing cannabis can be costly. However, with a single plant, there is little you need besides seeds, nutrients, soil and a solid grow light. The overall investment is minimal and will pay itself with marijuana of the highest quality. There is something about homegrown marijuana that makes it so much better! The feeling you get when you taste the fruit of your labor is unbeatable. But how much weed can you get out of a single plant? The answer won’t surprise you: It depends on your seed genetics!